In the warm and welcoming surroundings of the restaurant, you will have the chance to sample an extensive range of authentic dishes. You can eat inside the restaurant or, for a truly memorable meal, you can have dinner in the open air, looking out across the undulating landscape of the Pisan hills. The cuisine we prepare reflects our dedication to rediscovering the traditional flavors of Tuscany – we use the most modern techniques to bring you the tastes and aromas of the illustrious culinary heritage of this area. All of our authentic, mouthwatering dishes are prepared using our own extra-virgin olive oil. Our authentic cuisine is geared towards making the most of the fresh ingredients by using natural flavorings and special cooking techniques. 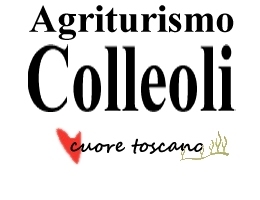 The Colleoli estate is the source of the ingredients in our excellent farm products, which include our extra-virgin olive oil and other natural foodstuffs. We can confidently guarantee the quality of our products, which are made according to traditional methods and succeed in encapsulating the centuries-old traditions of rural Tuscany.